Hey it’s that time again, World Cup Soccer Time!!! Here’s a free cartoon to adorn your Myspace or newsletters, if you’re one of the zillions of fans out there. In fact, this World Cup Soccer Event is supposed to be the most watched television event in history. It turn out 1 in every 10 HUMANS will watch (estimated 600 million). Stay tuned for more soccer cartoons. 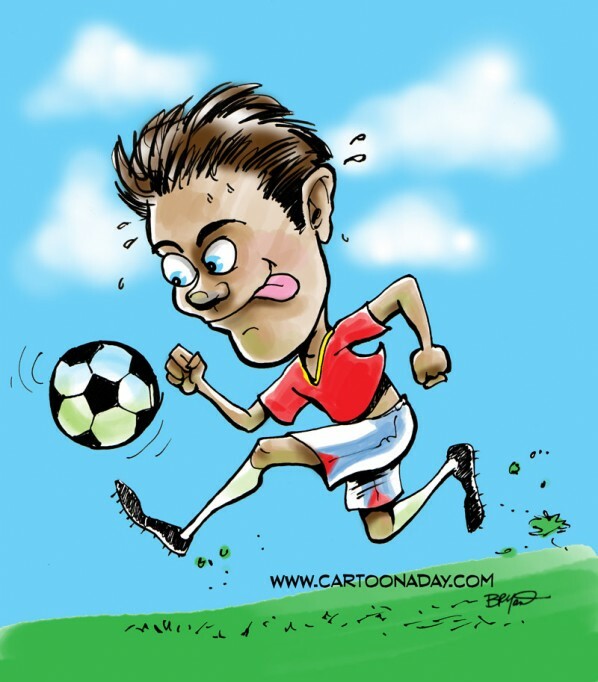 Cartoon soccer player running and kicking a soccer ball. He's mid-air and mid-stride in red uniform. 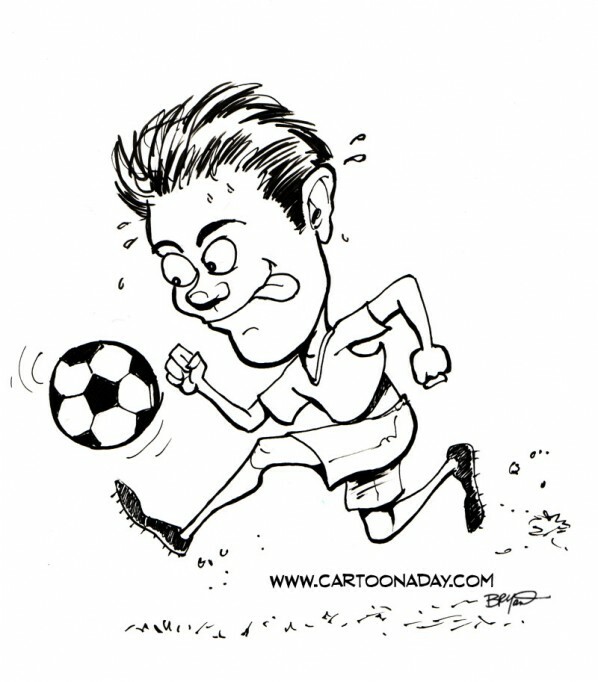 Inspiration: Inspired by World Cup Soccer and cartoon a day.